You've heard about it - now it's time to experience it first hand on one of our group trips. Enjoy relaxing in the tropics with spectacular diving, wonderful food, all in a laid back atmosphere while one of our group escorts take care of all the details to make it the best scuba diving vacations you have ever been on. Cozumel is one of the diving capitals of the Caribbean. It is located off of the Yucatan Peninsula and is about 30 miles long and 10 miles wide. Cozumel is famous for it's enjoyable drift dives. Let the current take you past breath taking coral formations, huge sponges, and an abundance of aquatic life. Becoming a brand new scuba diver? Or maybe you are a diver wanting to take your Advanced or Rescue courses? 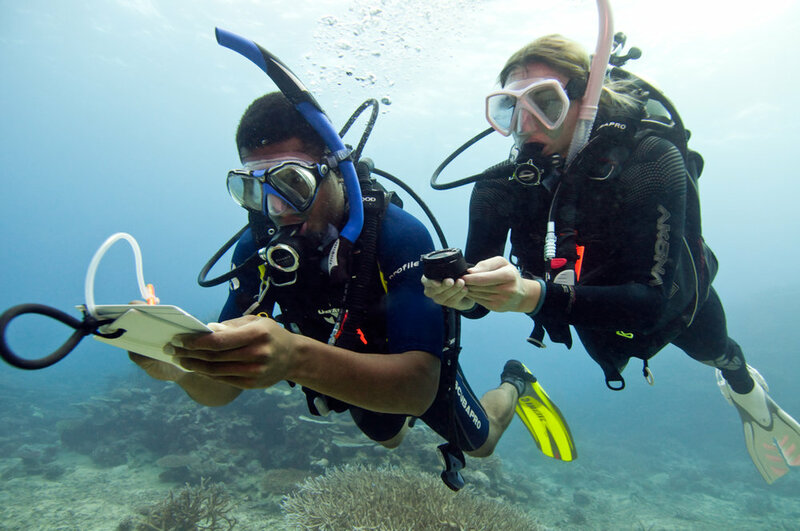 Why not escape the cold for a bit and do your Certification Dives in the beautiful waters of Cozumel? Take your scuba courses locally, then head to the ocean for your dives! Cozumel is one of the diving capitals of the Caribbean. It is located off of the Yucatan Peninsula and is about 30 miles long and 10 miles wide. Cozumel is famous for it's enjoyable drift dives. Let the current take you past breath taking coral formations, huge sponges, and an abundance of aquatic life. Right off of Hotel Cozumel's pier, many extraordinary critters come out to play when the sun goes down. Then, after rinsing your gear, you can relax by the moonlit pool or take a stroll into town for some lively nightlife. Find out why Cozumel is a long time favorite of new divers as well as the seasoned veterans!